As a result of filing the FAFSA, you will receive a Student Aid Report (SAR) by email if you provided an email address on your FAFSA. Otherwise, you will be sent your SAR through regular mail. 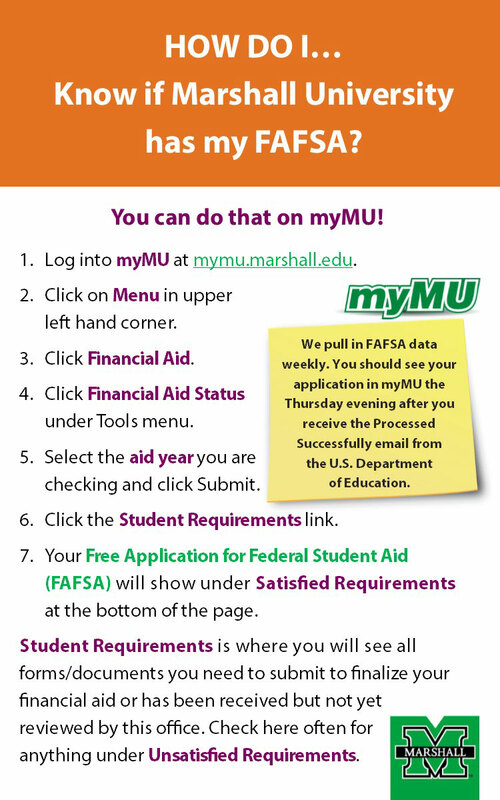 You have the ability to access you SAR by going to www.fafsa.ed.gov. You will need your FSA ID to access your SAR. Review your SAR for accuracy. If you need to make any corrections, you may do so by going to www.fafsa.ed.gov. You will always need your FSA ID (and your parent’s, if dependent) to access, make corrections and sign your SAR electronically. 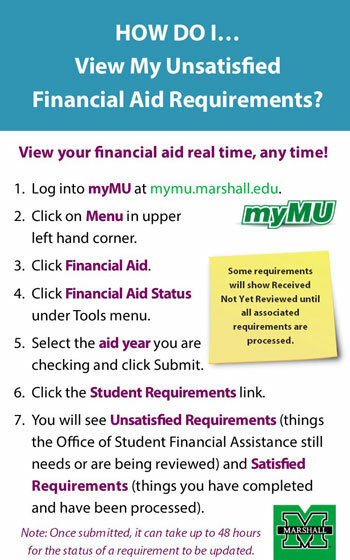 When you make corrections to your SAR, Marshall University and if you are a WV resident, WV Higher Education Policy Commission will automatically receive these updates electronically. It takes one to two weeks before the corrections are processed and received by the school and the state. 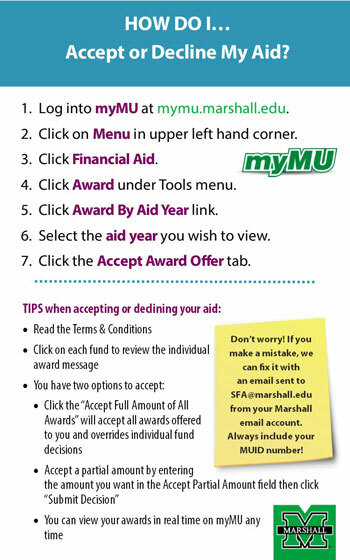 If you have already received an award notice from Marshall University and you make corrections to your SAR (or your processed FAFSA), you will receive a revised award notice if your eligibility has changed. If you don’t receive a SAR within a week of filing, you may access and print your SAR by going to www.fafsa.ed.gov. You will need your FSA ID to access and print your SAR. You may also call the Federal Student Aid Information Center at 1-800-4-FED-AID (1-800-433-3243) to make inquiry about your financial aid application.